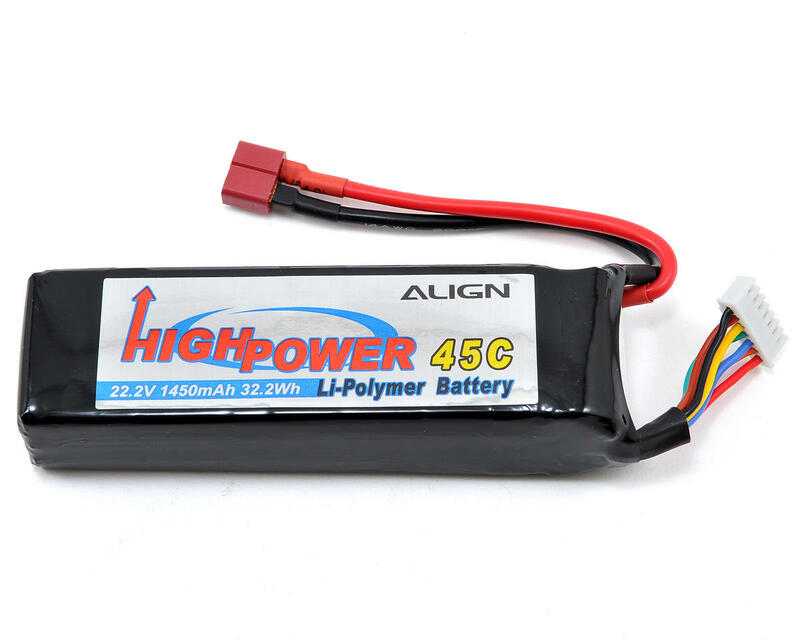 This is an Align 22.2V - 1450mAh, 45C Li-Poly Battery. 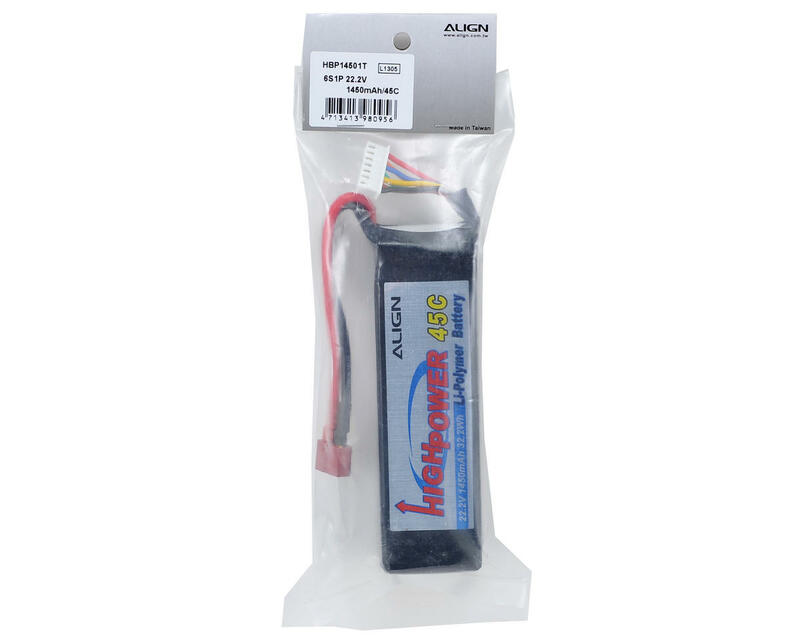 This battery is an excellent choice for the T-REX 450 6S system equipped with the 460MX, 1800kV Brushless Motor. NOTE: When using high energy Li-poly Battery, please do not over-discharge, over-charge batteries, or result over-high temperature. Discharging capacity can't exceed 80% of the max capacity after full charging to ensure a good cycle performance.Recommend to full charge a brand new battery before using and only discharge the battery 50% for first 5 times to make a good efficiency of the battery. Please make it a habit to always count time for flight, or please set a low voltage protection on ESC (Cell voltage after stopping using can not lower than 3.4V). Do not use the battery at insufficient of voltage.